Rowena here. It’s my turn to do the Saturday post. I think you might have gathered by now that I’m a visual person. From the polls I’ve done it seems most writers are aural – they make up play lists and immerse themselves in certain music while writing their books. I have a background as a graphic artist and have always loved art. 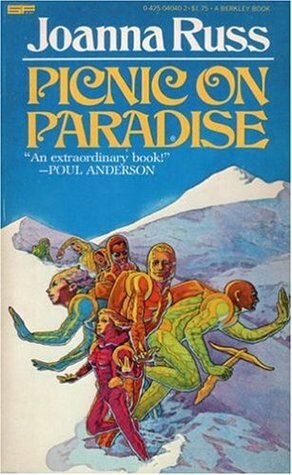 So when I found this article by Natalie Baaklini on ‘How Pulp Science Fiction Cover Art got its Sense of Wonder, I was delighted. It has examples from 1872 through to 1925. Next week’s article will cover 1925- 1955. This particular piece of art is so appropriate for steampunk, I thought it had been done especially for the article/cover, but discovered it was the cover of The All-Story, artist, Harry Grant Dart. 1900- 1910. This looks like a book on the topic but when I googled it, it doesn’t come up as as a book title on Amazon. There’s Fantasy Art of the Masters and Sci FI Art: A Graphic History and … wait for it … Strange Sisters: The art of Lesbian Pulp Fiction. I could spend hours pouring through books like this. In fact I did, when I had my bookshop. But all scorn aside, I must confess a love for these books and their cover. He cites one of my all time favourite Frazetta covers in his list of worst covers. How could you not love this cover? (For more on Frazetta see here). So this post is going to be dedicated to the books of the 70s and their covers. Firstly there is no going past Frazetta. I watched a documentary on him, which included footage of the opening of the Frazetta museum. He was brilliant from a very young age. He influenced the way covers were drawn and I see evidence of his influence in a great deal of computer game art. I could go on about Frank Frazetta but I’m going to stop there. Then there is my favourite Fafhrd and the Grey Mouser cover. (I must re-read Fritz Leiber’s books. Some of the scenes are still vivid in my mind after 30 years). Ah, the joy of discovering books and authors for the first time. Do you remember discovering Dune? 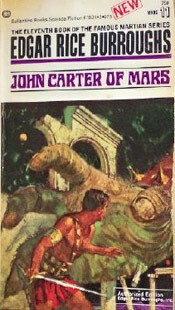 And then there was John Carter of Mars. Good old Edgar Rice Burroughs. What a shame Mars turned out to be a pile of arid pile of red dirt. Not a princess in sight! I don’t remember this John Carter of Mars cover. Maybe we didn’t get this one in Australia. 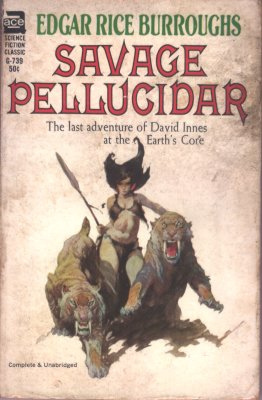 I do remember the Savage Pellucidar cover. (Another Frazetta). In the pre-internet days you couldn’t find out anything about artists or authors. You had to hope to come across a book about the artist or a book by the author. One author I discovered and found refreshing was Joanna Russ. I didn’t realise I was reading feminist SF, I just loved her way of seeing the world. I had heaps of the old Conan books until the glue went and they fell apart. It is ironic that they’re making another Conan movie, when poor Robert E Howard struggled to make ends meet. I was looking for an old cover of Ursula K Le Guin’s Earthsea books or The Left hand of Darkness and found this one. This is another book I feel I should re-read, especially as the question of gender is something I’ve been exploring in my new trilogy. It’s so long since I’ve read it, I can hardly remember it, so re-reading will be like reading it for the first time. I discovered S &F when I went to Melbourne when I was 18 and then the following year I opened my bookshop and read non-stop. Before this, I’d always loved these kind of stories, but I wasn’t aware that there was such a thing as genre. 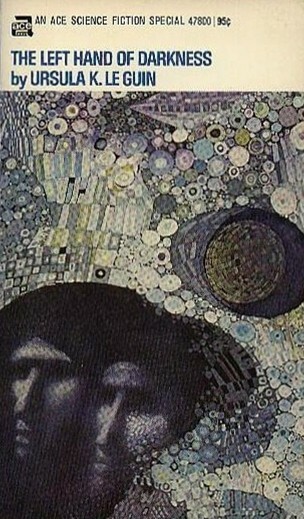 When did you discover speculative fiction and do you still have some of the books from that period on your bookshelf? Thirteen. New school, new school library, new bus that always got me there too early for students to be allowed to roam the halls. But if you asked nicely, the dragon at the door would allow you pop down to the library. Oh my! They had a big selection of Andre Norton’s work. I branched out to other SF writers after I’d finished them. Ah, the joys of the library. You lucky thing. I didn’t discover Andre Norton, or Heinlein’s juvenile books until I was an adult. Podkayne of Mars! When did I discover speculative fiction? Well, I walked into this dark, dank corner of the bookstore, where strange smelling lumps reached out sweating palms and stroked the covers in dark rituals of secret lust… nah. Not that exciting, really. I’m pretty sure I first started reading speculative fiction in Vienna, Austria, when my father took the family there for two years with the IAEA. I would have been eight or nine years old? I attended the public school, and wasn’t terribly happy (can’t talk the language, can’t play soccer, lots of can’t’s in those days…by the time we left, two years later, I was fluent in Viennese German, could get along with soccer, and so forth, but the early time was pretty rough). But I remember reading folktales in English and German (Fairy tales, witches, mythology, all that kind of thing. I liked fantastic stories, and wasn’t too discriminating. And Strumpelpeter… something like that? A boy who didn’t cut his hair or fingernails, so… they cut off his head and hands. Final picture still lurks in my memory, of his torso with head and hands scattered around, and blood. This was a children’s book!) And Alarum Aus Atomville (Alarm from Atomville). I can vaguely remember that cover. And mostly, I remember finding books with golden spaceships on the spine that really hit the spot — in the international library at the IAEA, in English. But the children’s section didn’t have many (actually, it may not have had any, or maybe they were misfiled). And the librarian got very upset that I was hanging around the adult section, and wanted to take out adult books! So my mother had a long, long conversation with the librarian, and… I got special permission to borrow books from the adult section on my own card. And I did. Oh, yes, I did. I think it was three books at a time, and I almost always got all three, and came back as soon as I could. After reading all three! I think I taught myself to speed read doing that, actually. I also bought every one of the Tom Swift, Jr. series, with my own money, at the Government Employees Market (GEM) somewhere in Maryland. And talked with the American Indian who sold souvenirs there. But those are other stories, that followed our adventures in Vienna. Haven’t thought about that in a while. Thanks! Thanks for sharing, Mike. I think I see a theme devleoping here. Children on their own seeking solace in books! Age 9: The Weirdstone of Brisingamen. It took me most of Grade 4 to get through that book but it opened the reading floodgates and two years later I was in the top reading group at school, had read the Narnia books(totally missing the Christian message), all the Andre Norton(thanks to the Scholastic Book Club selling ‘Plague Ship’) I could lay my hands on(and it was Mum who brought home this cover from a shopping trip), Susan Cooper, Ursula Le Guin(Earthsea) plus anything that vaugely looked fantastic or futuristic at the local library(right next to my school!). And the reason why I have to pack forty odd boxes of books every time I move is because I still have all my books. They are my precious. Ah, Brenda. I had a book shop and brought home far too many books. I just cleaned them out a year ago and they’ve bred since. I will have to do another cull. At least I donate them to my local school library. (The kids and YA books). The rest I take to my local secondhand book shop. So they don’t go unloved. The background figure on that cover looks like a Frazetta, but I’m not so sure about the foreground figure.